Super clean 2006 Ford Escape XLT! LOW MILES!! 4x4! Equipped with a cloth interior; sunroof; power windows/mirrors/locks; power seat; alloy wheels; AM/FM with CD; and more! Car is in excellent condition inside and out! CLEAN CARFAX WITH GOOD MAINTENANCE HISTORY! 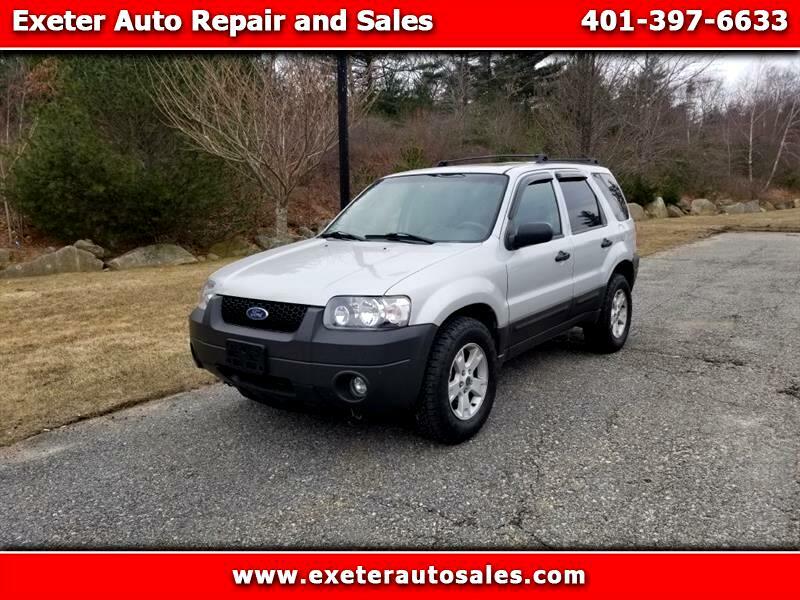 Visit Exeter Auto Repair and Sales online at www.exeterautosales.com to see more pictures of this vehicle and view a FREE CARFAX report! Call us today at 401-397-6633 to schedule your test drive! All of our inventory is hand-picked by our staff to ensure that we are purchasing quality vehicles that we are proud to put our name on!